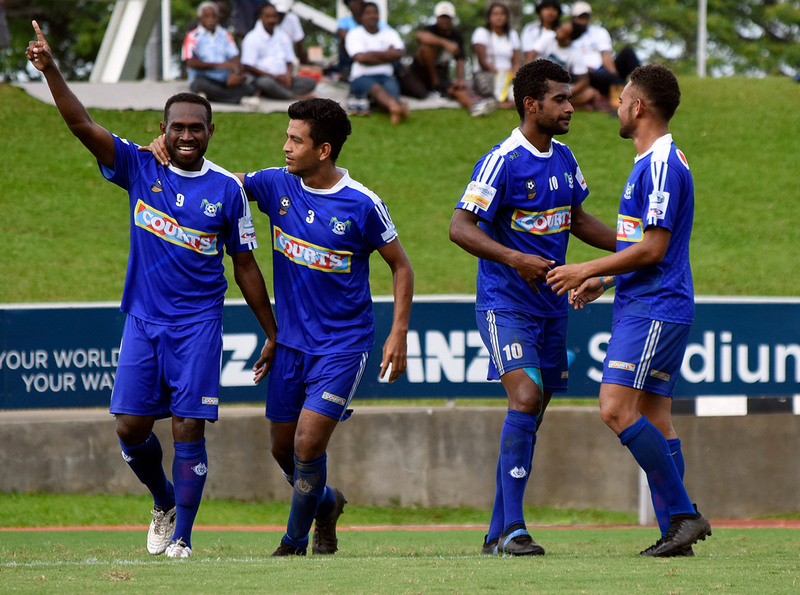 Lautoka celebrate the winning goal in the IDC final. Samuela Nabenia has already proven his worth for Lautoka after scoring the winning goal against Suva in the final of the 2018 Courts Inter-District Championship at ANZ Stadium in Suva. Nabenia, who joined the Blues from Ba FC, was in the right place in the 51st minute of play as Solomon Islands striker Benjamin Totori walked his way into the right hand edge of the box and provided a neat which Nabenia was able to head past goalkeeper Simione Tamanisau. As expected, the final proved to be an exciting affair with both teams displaying their different styles of football. The first half was dominated by near misses, a couple of saves by the keepers and tight play in midfield by the two sides. It was the first time Suva and Lautoka met in a Courts IDC final for 53 years, with the previous meeting back in 1965 in Nadi which Lautoka won 2-1. The path to the final wasn’t completely straightforward although the semi-final results show otherwise. Lautoka defeated Nadi 3-1 in the first semi-final and Suva overcame Labasa 4-0 in the second semi-final on Tuesday. Lautoka captain Samuela Drudru said they came into the tournament well prepared and believed in themselves however admitted the loss to Labasa in the group stages proved a wake up call. He said he urged the players to get more serious and lift their performances for the coming matches and was pleased they followed his advice. “I am blessed to lead this team to victory in the IDC,” Drudru said. “There was a lot of pressure on us as defending champions but we worked hard and did our best to retain the title. I want to thank all the officials and their families as well as my team mates and their families for all the hard work and sacrifice. Meanwhile Navua won the Senior Division beating Nadroga 2-0 in the final.